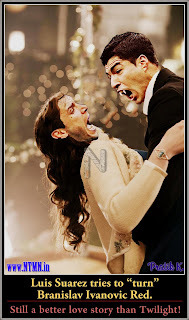 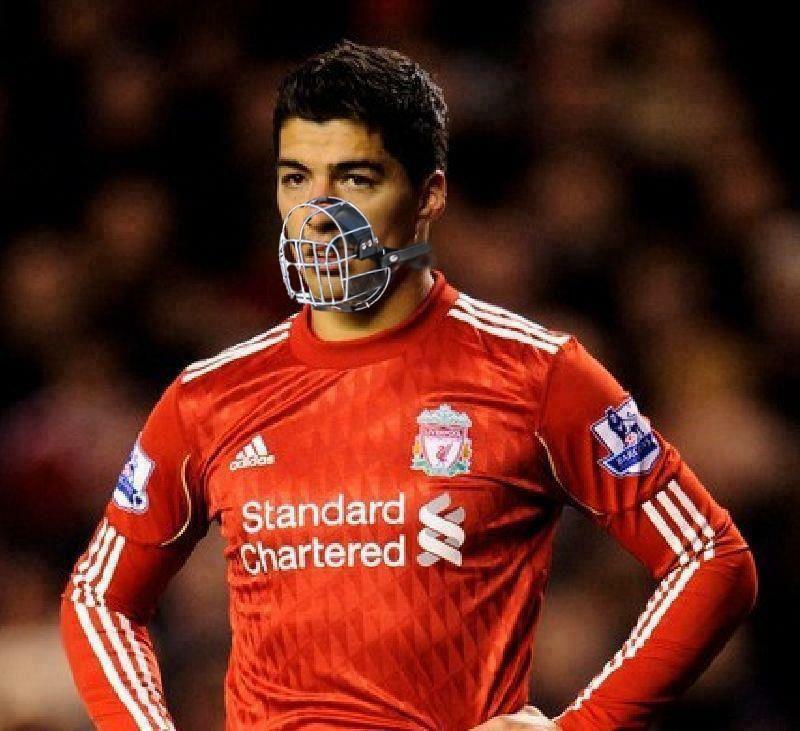 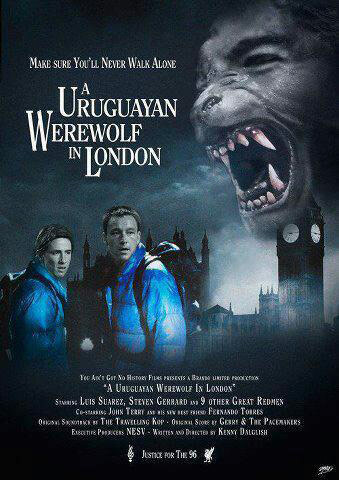 There were plenty of gags doing the rounds after Luis Suarez bit Chelsea's Branislav Ivanovic on Sunday … most of them on Twitter within an hour. 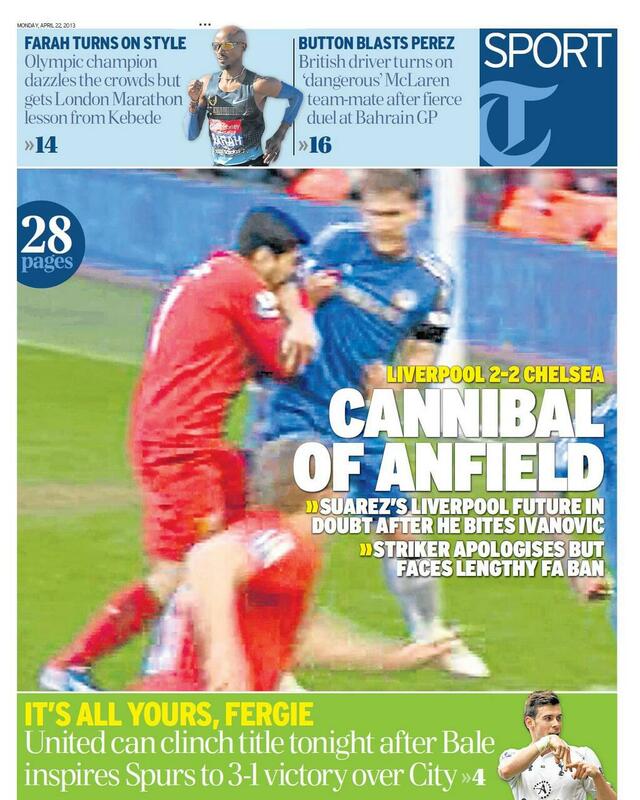 Of the newspapers, my favourite headline has to be this one on the front of The Guardian Sport yesterday. 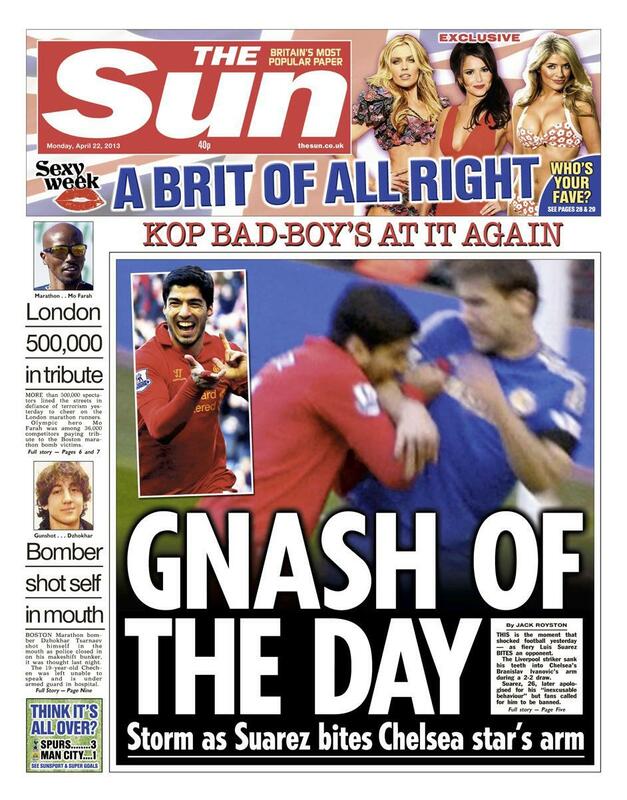 Monday's Sun, in best tabloid tradition, went with Gnash of the day and today with I've let down the fangs. 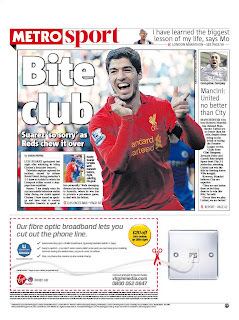 Metro went with Bite club and today's Independent had a strapline that said The morning after the bite before. 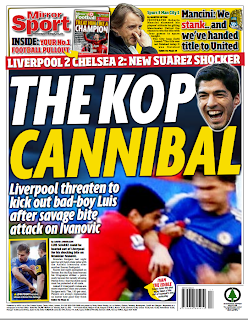 Very tabloid. 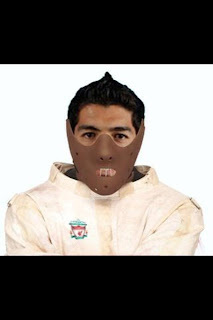 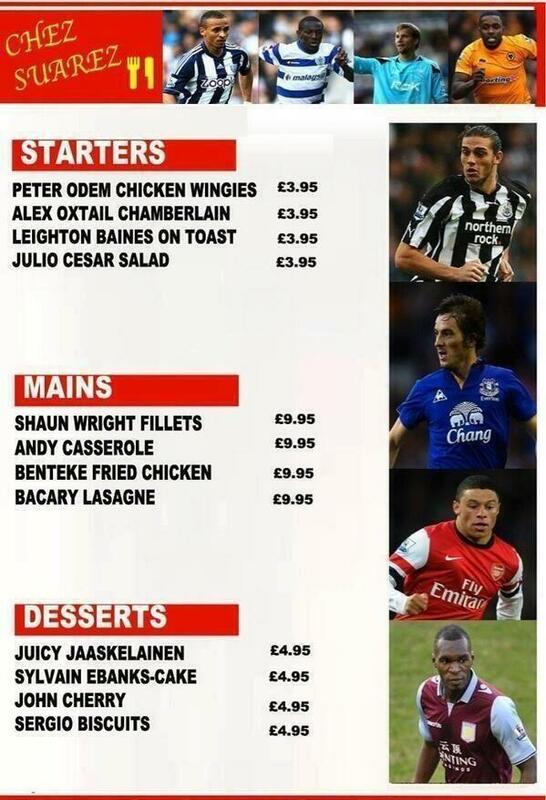 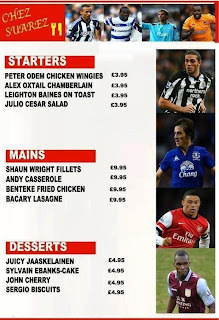 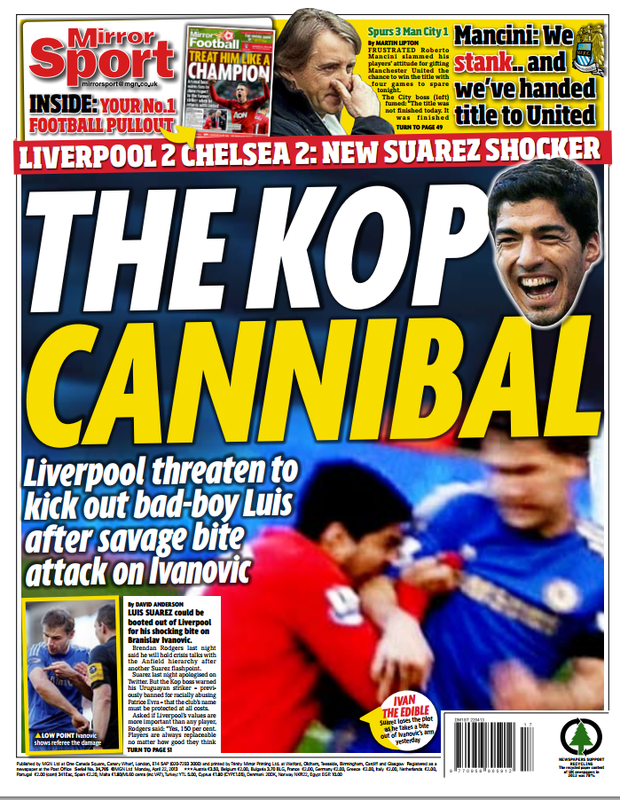 The Daily Telegraph and Daily Mirror decided Suarez was not just a crazy footballer who bit out in the heat of the moment ... but, in fact, a cannibal. Most, if not all, of these, were lines suggested on Twitter soon after the incident on Sunday. 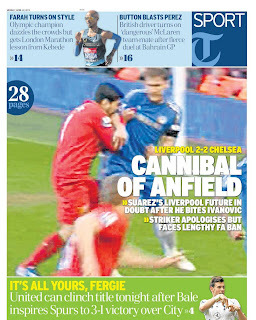 Newspaper subs really do need to have their Tweetdecks running as a constant source of headline inspiration these days. 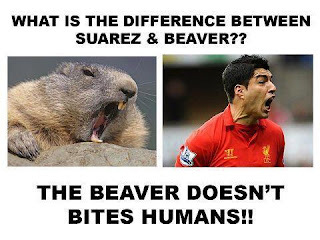 You will have seen most of the jokes by now. This is one of the better ones, so worth a further groan: BREAKING NEWS Luis Suarez is being sold to German club Borrusia Munchoncentreback. 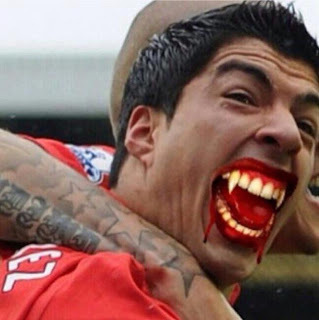 The Photoshop artists were also in force. 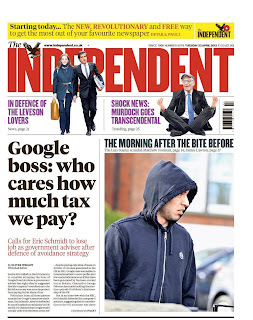 Here are a few visuals that caught my eye. 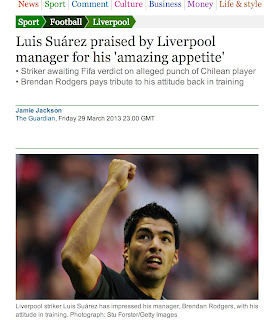 Meanwhile The Guardian should really take a bow for its foresight. 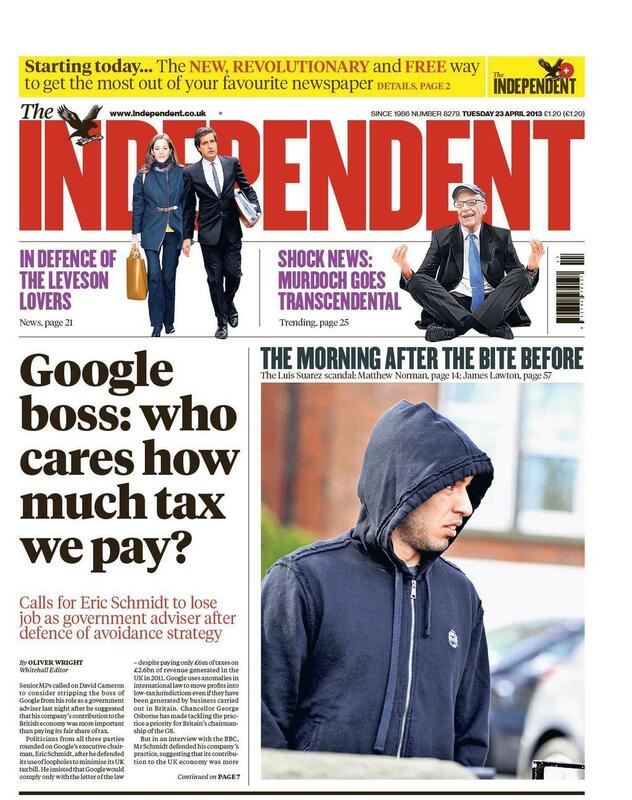 This headline was written last month. 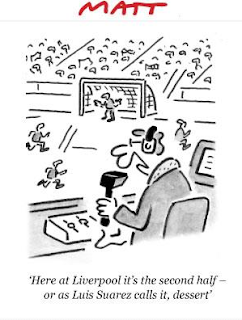 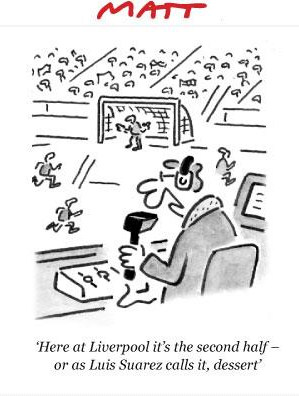 And The Daily Telegraph's Matt was his usual waspish self today. 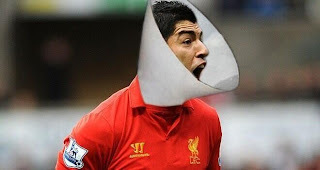 The good news in all of this is that I am going to see Newcastle v Liverpool on Saturday and, with Suarez banned, we won't have to play in our new emergency kit (below). 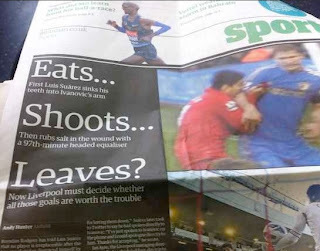 It is of course a serious incident that has implications for the player, the club and the sport - but it is also a cracking story and a headline writer's dream. 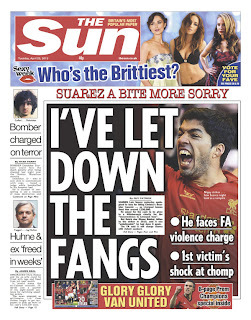 Finally you might enjoy the way the whole thing was reported on SBS in South Korea. 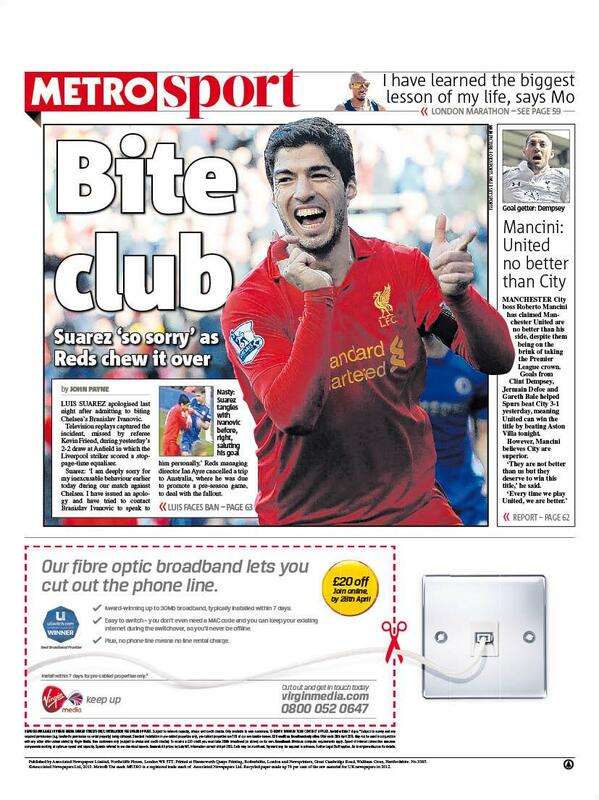 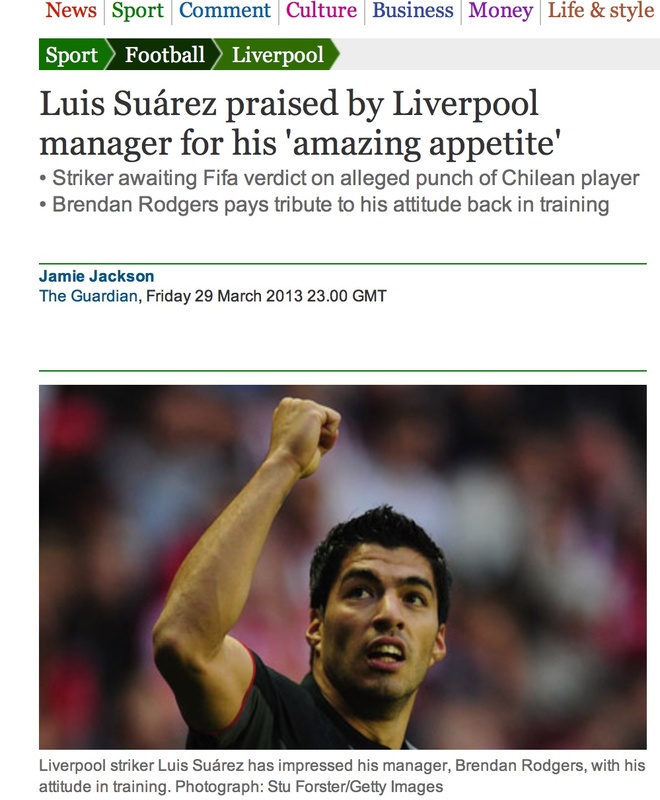 There are more Suarez visuals on The Guardian and The Mail websites.